In the section conflict and doubt, a lot of stuff comes up. To me, the principles that come up the most would be trusting God. 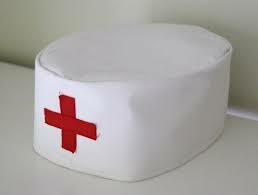 The picture above is a nurse/doctors hat. For me, that points to the time when a lot of stuff was going on in my life (conflict), and I was really asking some tough questions in my life (doubt). I was like, God why me? What’s next? Why doesn’t God just solve all these problems right now? In the Bible, there were lots of people who went through phases of conflict and phases of doubt. One example of this is Jonah. Jonah must have been asking God some difficult questions when God sent him to go to Ninevah. I mean after all the Ninevites were some really evil people at the time. So in summary, even though God might send some conflict your way, it is all right to ask questions but just remember that God has all the answers to your questions and even if you feel overwhelmed, you can trust Him. In the Bible, a lot of times God calls different people to do different things. I would say the most obvious example of this would be Abraham and Sarah. God called Abraham and Sarah to leave everything they knew, including their family and their land, to follow a God they had never heard of to a land they had never heard of to start a family (they were like 100 years old). I don’t know about you but I think that would take some serious faith to listen to God’s call at a time like that. This can also happen to people nowadays. 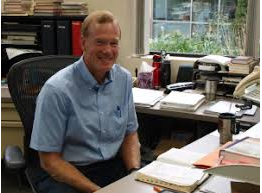 We had a principal, above, who, even though he loved ZCS, God was calling him to be a principal at a different school. So even if God isn’t calling you to move 1000 miles away, perhaps you might want to listen to what God is calling you to do. God is a faithful, unchanging God. I mean, take Joseph as an example. Joseph’s brothers did not like him. Joseph got a really nice coat and his brothers were jealous. So his brothers decided to get rid of him. The brothers meant evil when they sent Joseph to Egypt but God, being unchanging, ended up saving the lives of the brothers as well as much of the ancient world. It also made Joseph the second-in-command of Egypt, one of the biggest empires of that day. Now that’s what God does. Again, this is not just something God did in the olden days. An example of God being faithful, well, I would say that the best metaphor is a rock. God is an eternal, faithful God who even though everything else changing he remains the same. 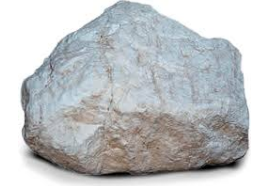 A rock, if you will. The 10 commandments are probably the most common conditional covenant of the Old Testament. If you want to be part of God’s people, well, you have to follow these commandments and put God first in your life. Now you might be wondering why I picked the phone as my visual. Well, that’s because in my life and probably the lives of other people too it can be an Idol. God really has no interest in being second in our lives. Whatever your Idol is, God wants you to lay to lay it down for him. Israel just kept having lousy kings. Thankfully God had chosen for himself a pretty faithful Prophet, Elijah. Elijah had challenged one of the evilest kings of all to a face-off to find out which God was more powerful, which God was real.This was a big problem but maybe a bigger problem was that the people said nothing. They were too afraid to do what they knew was right. The visual that I picked was Kirk Cousins. Kirk Cousins is a person who really doesn’t care what people think of him, for the most part, he does what God wants him to do. 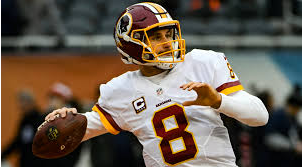 Kirk Cousins is not afraid to stand out and do what is right. One of the more commonly known cycles of the Bible is the Cycle of the Judges. The Cycle of the Judges is something like this. So first everything is going well for God’s people but then they start thinking they can manage on their own and they start sinning. Then God sends people to attack the Israelites and then the Israelites cry to God, God sends a judge and then it just repeats. The Israelites didn’t really like all these judges and they looked around at all the other countries and the Israelites saw that they all had kings. Now you can kind of picture the Israelites thinking, well those countries are doing pretty well. The Israelites didn’t remember that God was their king and they wanted to fit in with what the other countries around them were doing. 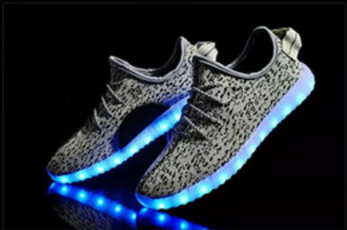 As my visual in this paragraph, I picked a pair of cool shoes. I chose this visual because it is a reminder that I shouldn’t just try to fit in with the culture around me and get caught up in buying shoes and other stuff. This visual makes me remember that even though it is not wrong to want cool shoes and clothes, my identity is in Christ. I’m not sure how many times God says in the Bible that David is a man after his own heart but it’s probably like 10+. At first glance it makes sense, doesn’t it? I mean David was the one who made Israel a big name, killed Goliath, wrote hymns of praise and adoration to God and probably a hundred other things but here’s the good thing: David was a sinner just like you and me. He murdered a man, ate bread from God’s Holy table and much more. Now God made a great promise to David. God promised he would establish David’s line on the throne forever and God also promised that He would send a savior through David’s descendants. But God wouldn’t send this Light of the world because David had no problems. God would send this Savior to solve all David’s problems. Maybe you caught it a couple sentences when I said the light of the world or maybe not but that is what my visual reminds me of. My family and I go camping a lot so a campfire seemed like a good visual for Light of the World. 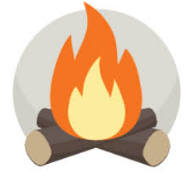 Now when I go camping and I look at the campfire I will think of the Light of the World who came to die for all my sins. I guess being a king in Israel must have been a tough job or something because Israel and Judah had a combined total of about 5 good kings throughout their entire kingdoms. You see the kings of these nations had one pretty big problem. They wanted to be popular and well liked by the people and they wanted that over God’s plan. And so, as a result, God sent them on a slide to destruction (hint, hint). I mean, it’s not like God didn’t warn them. He sent several prophets to both kingdoms but neither of them listened to Him and so they went into exile. 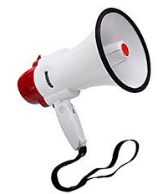 Now you might be wondering what the megaphone is for, well it stands for us listening to God. Oftentimes we might feel like, man, I wish God sent angels from the sky telling us about our destiny and all that, I mean at least I know I’ve felt that way before. God doesn’t always talk to us so obviously but he is still telling us what he wants us to do whether through prayer or a pastor or a friend or a chapel, whatever it is God is talking to us and we should listen to him.